Every so often a portable comes along and almost completely changes the game. This is one of those projects. 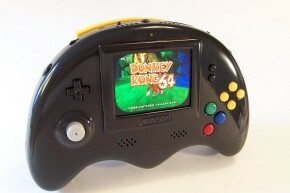 Bungle has been making outstanding portables for a while, but he really hit it out of the park with his fourth Nintendo 64 portable, the Controller Style Version 2.0. The best part about it? Plans are in the works to make this not a one-off, but a made-to-order commissioned model for a small production run. The case for this portable was made with a Vacuum Form Machine, using a piece of wood molded in the basic shape of the case. 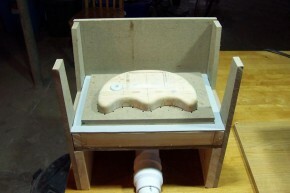 A thin sheet of plastic is placed above the wood model, and after preheating the oven to the desired temperature (differs between builds/plastic used), the vacuum suction grabs hold of the pliable plastic and forms it to the wooden model to achieve the desired shape. The plastic sheets come out with the case design protruding from it (not unlike carbon-freezing). Cut off the excess plastic, sand the edges down evenly, and you’re set. This excellent, well thought out design features a top curvature that matches the curve of the N64 carts. It also has back case hand grip flanks, and all the necessary buttons and ports – including some that aren’t found in many other portables, like an internal rumble feature. If you like ports, the Controller Style V2.0 has you covered. 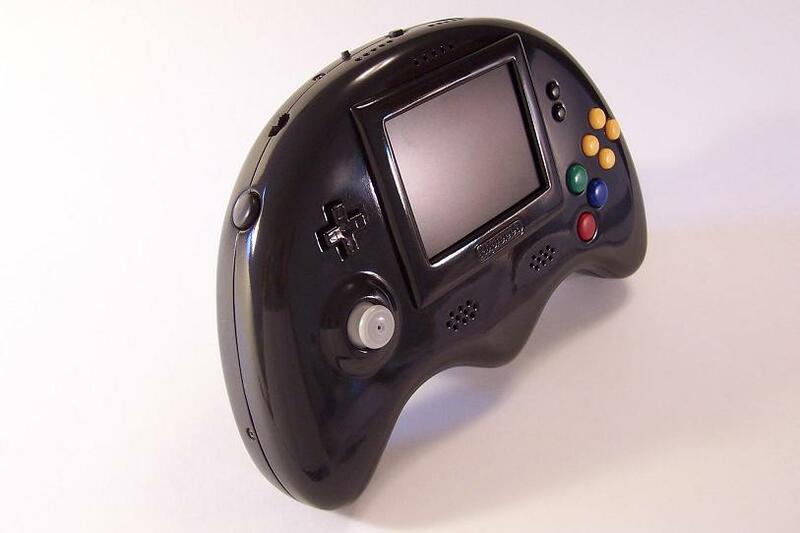 With an internal memory, rumble paks and a switch to cycle through them, L R and Dual Z trigger buttons, stereo sound and headphone jack, low battery indicator, and of course charging ports, it has all the features you would expect from an N64 portable and more. Not only is this a custom case for the Controller Style V2.0, but Custom Molded buttons and a Screen Bezel as well. 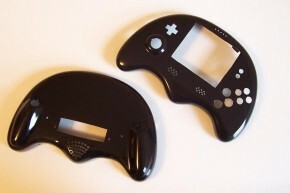 They were created using Alumilite Molding Products, painted and clearcoated to match the colors of the original N64 buttons. A Gamecube analog stick was also used over the N64′s, negating the loose, wobbly stick problem that plagued many official Nintendo 64 controllers (curse you Mario Party). Now onto our favorite part, the internals. While hidden away from the eyes, the guts of a portable are just as, if not even more important, as the case. What good is a nice looking case if it doesn’t work properly, overheat, or doesn’t even fit? That’s where ingenuity comes into play on designing cases, not only making the design look nice but to ensure everything fits together accordingly. 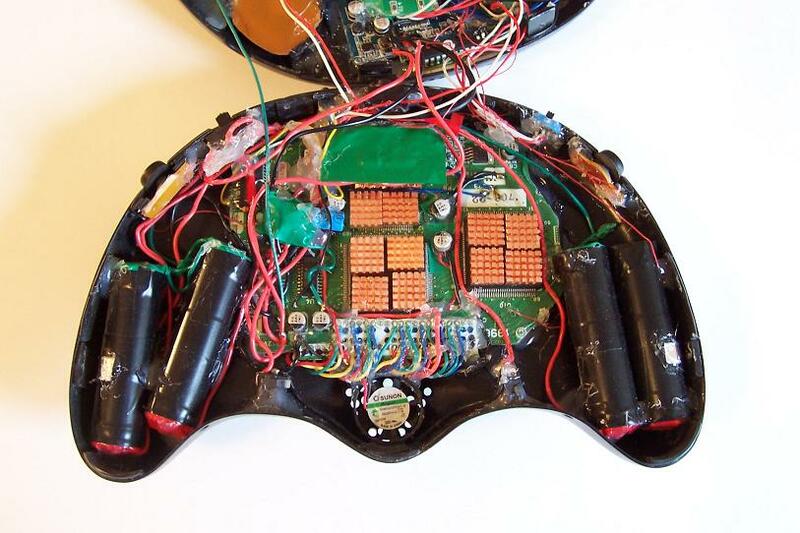 Every detail and part placement was planned out perfectly into the design of the portable for all the parts to fit and Tetris together, with the N64 motherboard trimmed to offer some extra space. 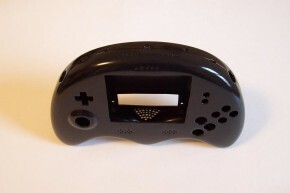 For more information on the Controller Style V2.0, you can visit the Bacman Forums for his worklog and completion thread, along with many news sites’ coverage, the most prominent being Kotaku and Hackaday. Many more fine works by Bungle can be found on the aforementioned Bacman forums, Modretro, and on his YouTube channel. UPDATE: Due to the selfish deletion of the Bacman Forums, links to the Controller Style V2.0 portable were broken and have been edited. You can still view the worklog and completed threads via Google Cache or the Internet Wayback Machine to see that and other Bacman Forums posts. Luckily the pictures of this portable were archived and hosted offsite so the Controller Style V2.0 did not suffer the fate of Early Era portables and became lost into the void of the Internet.